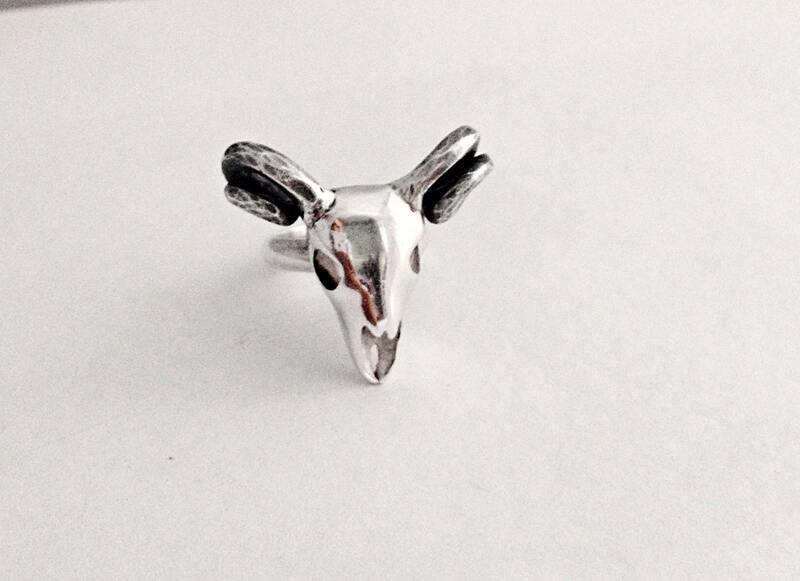 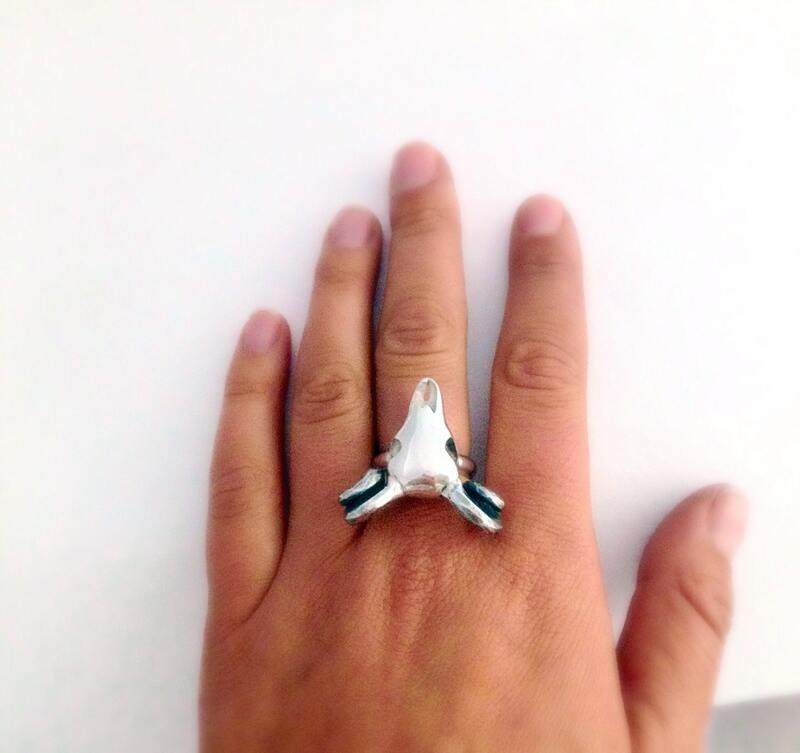 Awesome ram skull statement ring! 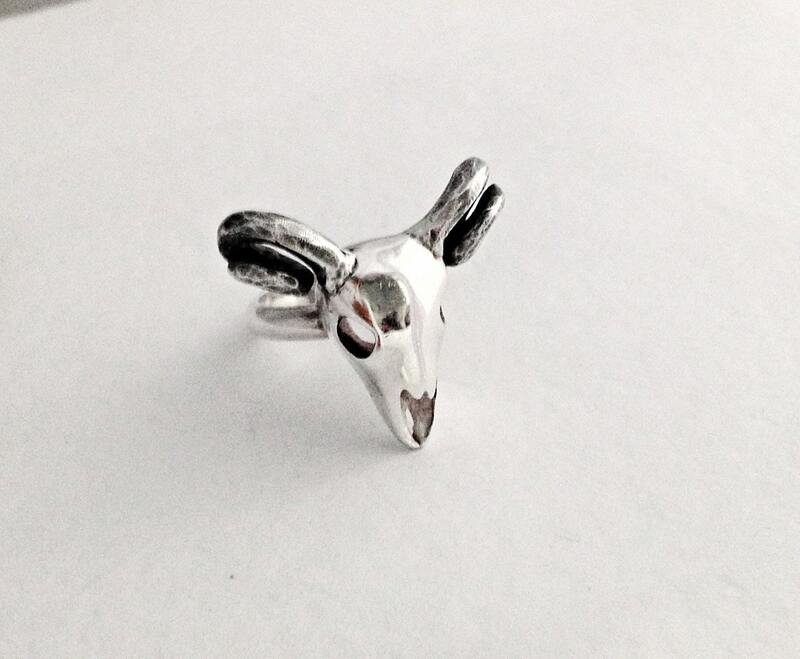 The skull is 2.9cm long and 3.2cm at it's widest point. 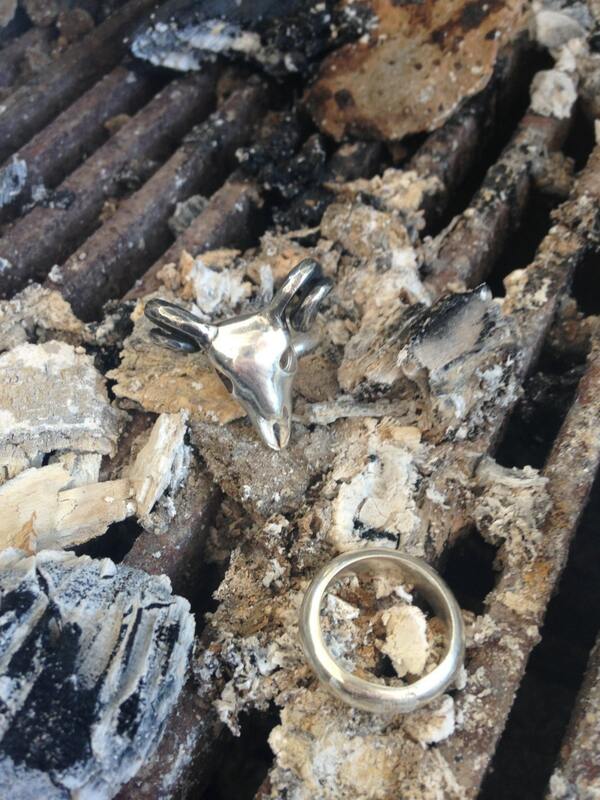 The antlers are irregularly textured and oxidised.